In this video, I talk about the most unrecognized, underutilized, and unappreciated source of power and motivation we all have available to us. I tell you how to use this power to reach your biggest goals both inside and outside of the gym. 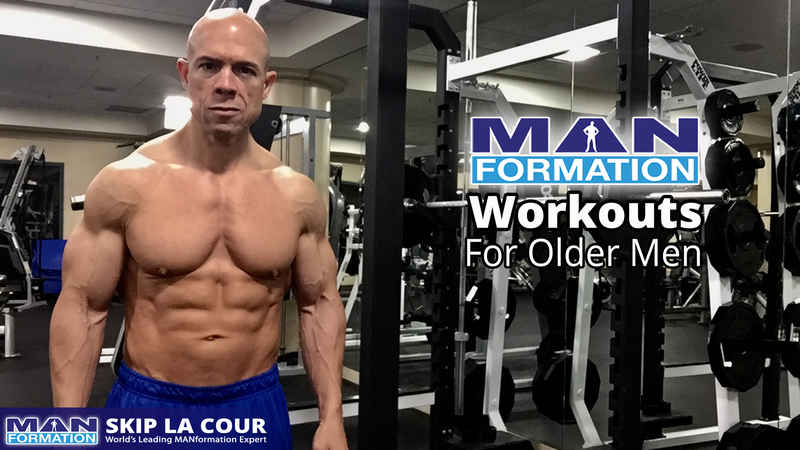 Are you a man who is a little bit older now, has a busy and productive life, and are more than willing to do the work required to earn a great body? Is your biggest challenge these days getting the information you need to get the results you want? Is your confusion over finding the right strategies from someone who understands your specific situation putting a damper on your motivation? Maybe you already have enough information to succeed and you just don’t realize it. Maybe the training and eating strategies that you’re already using can get the job done for you. Maybe even if the strategies that you’re using aren’t exactly “perfect,” they’re still effective enough to move you in the right direction, help you make significant progress, and allow you to make intelligent adjustments sometime in the future. Maybe you just need to tap into more of the personal power that you already have inside of you to move forward with more certainty, confidence, and success. Wouldn’t that be a great place to be? Watch this video and you’ll immediately start using the power you already have inside of you more effectively. Talk to me privately for 10 to 15 minutes absolutely free. This week you’ll have this opportunity. Call (213)973-8790. Or, go to www.TalkWithSkip.com and schedule your time.